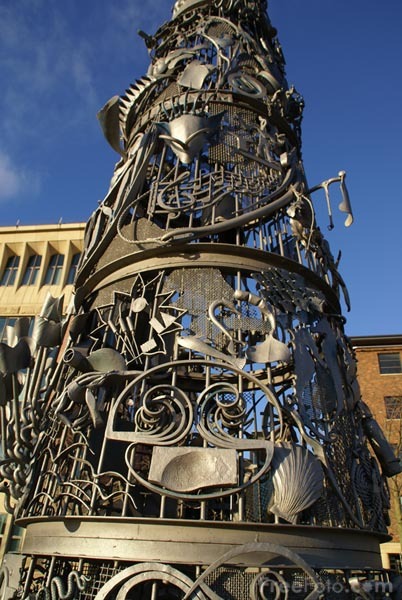 Photograph of the Blacksmith's Needle Sculpture, Newcastle Quayside. The Blacksmith's Needle comprises of six layers, each layer with objects relating to the senses. VIEW: More images from the category Newcastle Quayside or taken at the same location or around the same time .